Can a movie have too many famous actors in it? Now, it would seem self-evident that a filmmaker would want the best cast possible for his movie, and Redford obviously has the clout to get who he wants for his movie. (His last movie, “The Conspirator,” had a similarly heavyweight cast.) Recognizable actors not only attract audiences in theaters, but in the pre-production phase can attract financial backers and studio distributors. But there is such a thing as a tipping point, and I think “Company” is one of those films that tips over. It’s just so loaded with familiar faces in every part large and small that it keeps throwing you out of the film, making you think “Hey, there’s so-and-so” rather than sinking into the story and identifiying the characters. I think that’s why Gleeson’s presence made me laugh. 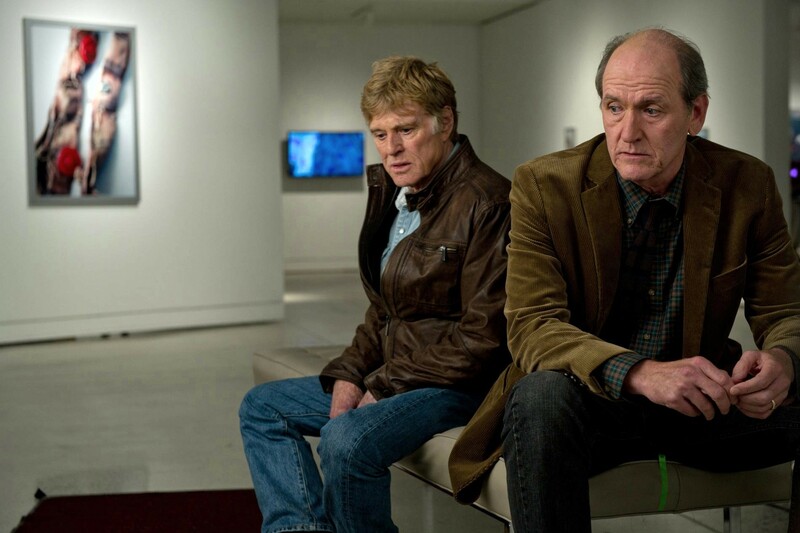 The other problem is having a great actor in a small part and not giving them anything to do with it — Gleeson largely exists to further the plot along, and while Sarandon and Christie each get a couple of nice scenes, Nolte and Elliott are largely wasted. An “all-star” cast has been a hallmark of Hollywood movie advertising back to the Golden Age. Think of something like the 1962 D-Day drama “The Longest Day,” which had Richard Burton, Henry Fonda and John Wayne among a cast too numerous to mention. Or “How the West Was Won,” which had Fonda again, plus Jimmy Stewart, Gregory Peck and many more. Or all those Irwin Allen disaster movies of the ’70s, like “The Towering Inferno,” with Paul Newman, Steve McQueen, Fred Astaire and O.J. Simpson, among others. Their names looked great together on a poster. But can anybody say any of them did their best work in those films? Woody Allen is another one who seems to like top-heavy casts. When a film of his connects, I don’t notice it as much; “Midnight in Paris” has a pretty strong cast that includes Owen Wilson, Marion Cotillard, Kathy Bates and Rachel McAdams, but each one of them seems perfectly cast in their role. Meanwhile, last year’s ungainly “To Rome with Love” got kind of exhausting with its big cast, including Alec Baldwin, Diane Keaton, Jesse Eisenberg and Woody himself, I think largely because most of them didn’t have that much interesting to do besides look good in Italian cafes. One movie that I think did the big cast right was “Margin Call.” I remember seeing the premiere at the 2011 Sundance Film Festival and being agog at seeing Tucci, Jeremy Irons, Kevin Spacey, Dylan Baker, Paul Bettany and Demi Moore on one stage. But that film made it work because it broke the story down into a lot of two- and three-character scenes, giving everybody a turn to make an impression. It was a very egalitarian way to handle it. Also successful, but in a completely different way, are the new “Ocean’s 11” movies. They handle their large casts because there’s a clear hierarchy to the cast, with George Clooney, Brad Pitt and Matt Damon at the top and the other eight (or nine, or 10) members of the team kind of orbiting around them, appearing and then disappearing. Carl Reiner is great in his role, but if he got as much screen time as Clooney it’d throw the balance of the film off. For a sports team, there’s nothing like a deep bench. But the same doesn’t always hold true for movies — sometimes a Dream Team isn’t all it’s cracked up to be.